Is There Hope Amid Nigeria’s Economic Crisis? Comments Off on Is There Hope Amid Nigeria’s Economic Crisis? On Wednesday, Nigeria’s Special Adviser to the President on Economic Matters, Adeyemi Dipeolu, optimistically announced that Nigeria is on its way out of the recession that has crippled the country for the last couple of years. This profession was based on Nigeria’s 2016 economic performance and last quarter GDP reports. This is clearly news to be celebrated, but how did Nigeria find itself in this position, and how can it ensure that it doesn’t happen again? Oil has always been the lifeblood of the Nigerian economy, with its earnings driving every component of the country’s GDP and making up 70% of government income and 90% of foreign income. The fortunes of Africa’s most populous nation have long ebbed and flowed with the price of oil, and the country is no stranger to crude prices crashing. However, previous dips have seen Nigeria falling back on its savings, but with former president Goodluck Jonathan’s corrupt squandering of the benefits of the boom years, this time it was unable to. The price of oil fell from highs of $112 a barrel in 2014 to below $50 in mid 2016, and the government’s failure to diversify the economy saw the country slip into recession. Accordingly, foreign investment in the country fell drastically and an estimated half a million jobs were lost in the first four months of last year. 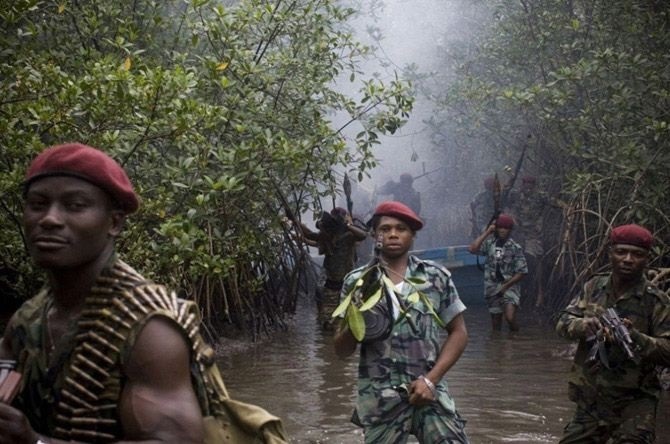 Compounding this is the issue of low oil production, caused by the activities of saboteur militia groups such as the Niger Delta Avengers (NDA). 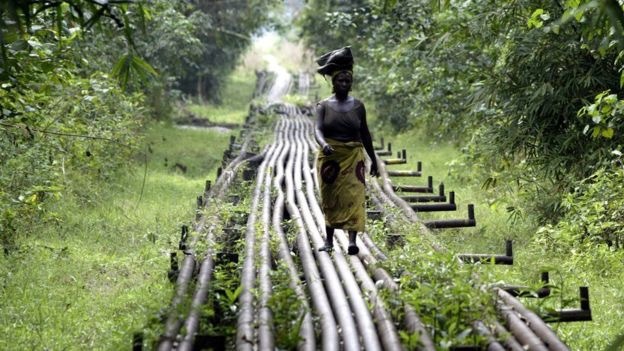 Numerous attacks and bombings on oil producing facilities in the delta by the NDA have strangled Nigerian oil production, catalyzing the downward trajectory of the country’s economy. With the NDA recently announcing their plans for further reprehensible attacks in 2017, with the view to ‘reclaim’ the delta, continued oil industry infertility seems likely. Nigerians are feeling the effects: the livelihoods of tens of millions of people employed in the informal sector have been hit by inflation of nearly 14%; a large amount of civil servants have not been paid for over a year; and others live with the fear that they too will stop receiving their monthly salaries. It is believed that families are going for days without food, with husbands absconding due to their inability to meet the basic needs of their families. There have also been tragic reports of young men taking their own lives after their efforts to earn a living failed. Oil problems aside, there have long been structural deficiencies in Nigeria’s economy. Despite it being the current administration’s goal, the government has failed to diversify the country’s economy and there has been little achieved by way of infrastructural development and feeble efforts towards advancing human capital by way of sufficient health and education funding. Going forward, creating a strong and collective economic foundation ready to service the needs of nation projected to be inhabited by 391 million people by 2050 is vital. Such a foundation must be built based on accessible and high quality education and healthcare as well as extensive infrastructure. Should the economic situation continue to deteriorate, it would be the poor that would bear the brunt. In such a context, what chance would orphans, widows and fellow disadvantaged children have? 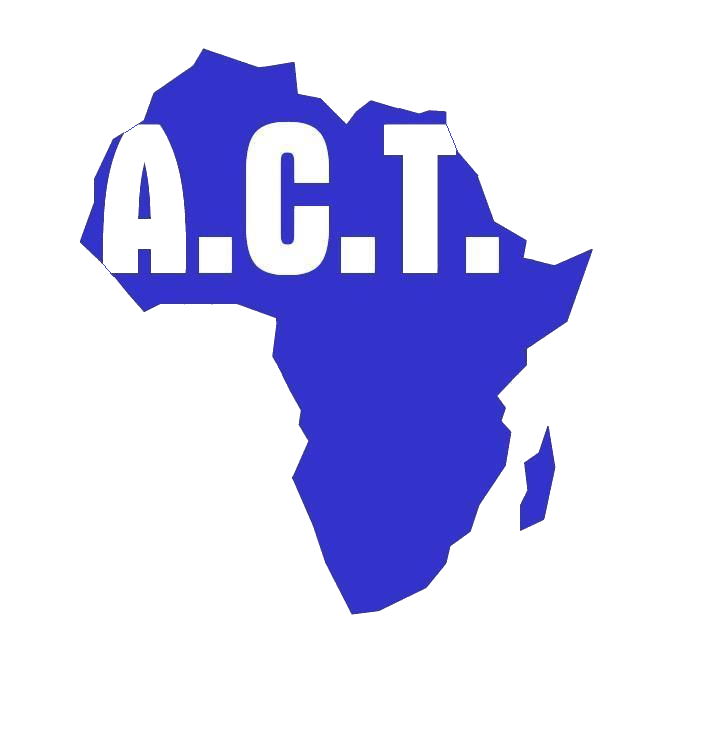 ACT has been working in communities in Nigeria since 2001. It has helped more that 200 children gain an education and has empowered the numerous needy individuals who are mothers or guardians to these children. We want to see a Nigeria that can take the lead in the continent both economically and politically.